architect show / masahiko sato is japanese architectural practice based in fukuoka city. 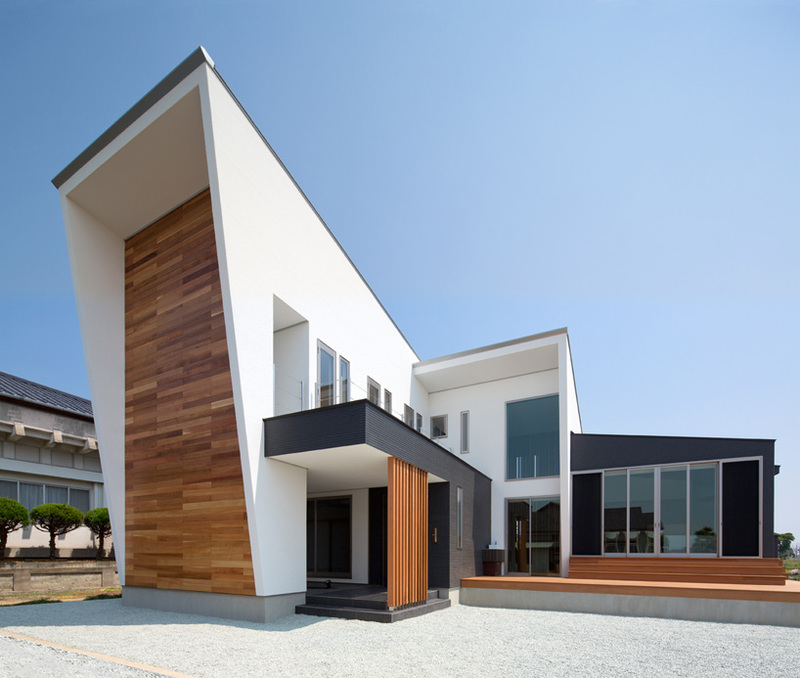 founded by architect masahiko sato in 1985, the studio has completed a great number of residential projects. the ‘K5-house’ by japanese architect masahiko sato of architect show is immersed in the slow life of the nature-filled city of kurume, japan. the family areas, in this case the living, dining and kitchen open to the landscape with a wall of glass doors and a stepped deck, bringing the outdoors into everyday activity. spreading across a rural site, the home has spatial variations which are not possible within the dense urban centers, including a hidden earthen floor within a small open-air, sheltered corridor which has been hollowed from a double-storey mass adjacent to the japanese-style room. That front wall just looks so HUGE. Still a nice place though; guess I’m just more into a smoother surface. I like this very much, although I would reconsider the lighting. Would like to see elevations.